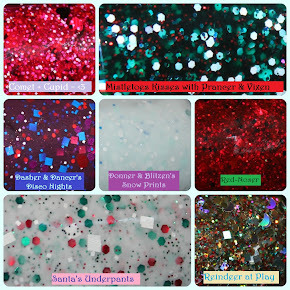 And then I won MariJo from Polish Obsession's giveaway! Yayyyyyy! Thank you so much, ladies, I love them:] Can't wait to get them on my nails! You got some great stuff! Congratulations on your win! Yayy!! Glad you like them. Those Wet n Wild glitters look so awesome too. Oooh I have all the Ice Baby collection polishes, they are gorgeous. I especially love 24 Carats and Believe Me It's Real. You have to swatch Copper Penny asap, I've been on the look out for that lovely!